What food should the kids have is one of the major issue most parents faces? The growing years are very crucial for a child and parents should ensure nutritious food for them. Proteins play an important role in the overall growth and development of children. 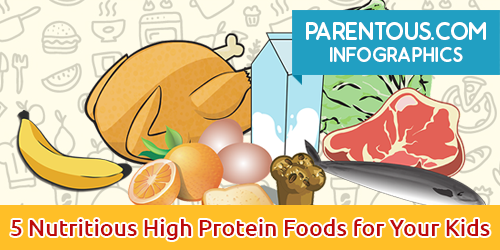 Here are five nutritious high protein foods for kids. Based on original article ‘5 Nutritious High Protein Foods for Your Kids‘ by Swarnam John.